The Top Level Analysis of REACH v4 gives users a graphic view of the ratio of positive to negative posts and the frequency of these posts, while below you have a full feed of postings in a given timeframe. On the side there are top keywords, hashtags (#), users and sites associated with these posts, giving you a load of intelligence on what the conversation is about, who is having it, and where. For more information, check out our web demos on DML’s YouTube. 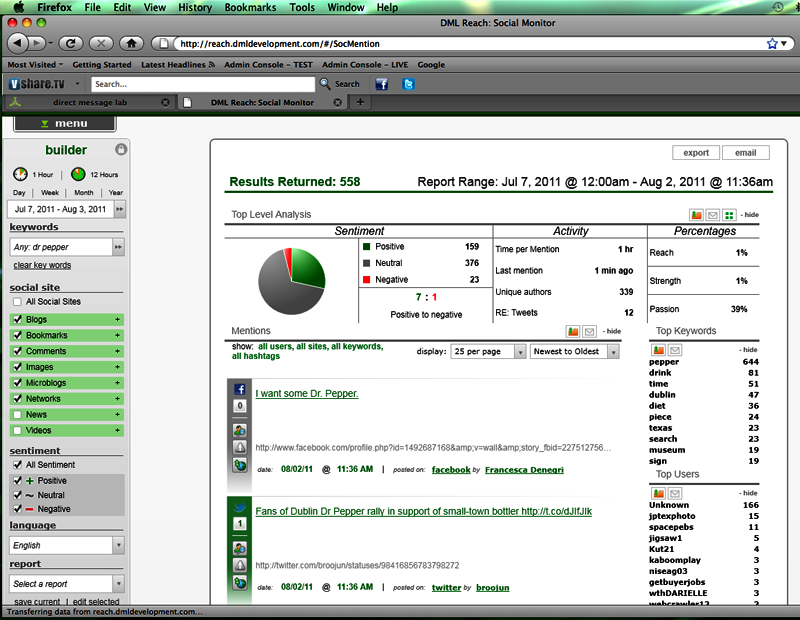 You are currently browsing entries tagged with social monitor at Direct Message Lab.